Royal Eastbourne Golf ClubGolf clubs would pay a lot of money to attract Rory McIlroy. So nul points for marketing acumen then to Royal Eastbourne Golf Club after politely turning down a request to allow the world No 2 use their practice ground a couple of weeks ago. As always, there was method to their madness - good old British practicality and helpfulness - but is still beggars belief that such an opportunity went abegging. The agent contacted the Royal and the club advised their practice area was probably too small for McIlroy due to the huge distances he hits the ball, so suggested the East Sussex National in Uckfield instead. 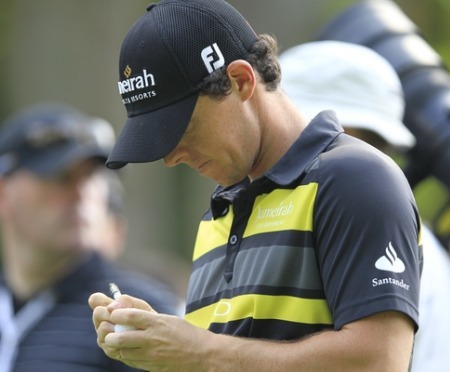 [Club secretary] Mr [David] Lockyer said, “We would have welcomed Rory McIlroy with open arms. The fact is he would have been reaching the 11th fairway on our practice area. …. also famed for losing at the 19th by a ‘stymie’ to the legendary Bobby Jones in 1930, the year that Jones achieved the Grand Slam of Open and Amateur Championships in both Britain and the USA. Hoylake is a course of fond record for Irish golf but only those who stay out of the deep rough at a lush, green Royal Liverpool will have any chance of winning The Open next week. McIlroy made an early visit to Sandwich this week to avoid media attention. 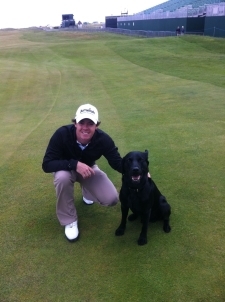 “Made a new friend at Royal St Georges today! !” he said on Twitter. Rory McIlroy loves being the centre of attention on the golf course. Off it, he likes to keep a low profile. And with Tiger Woods an absentee at Sandwich in next week’s Open, the US Open champion is the man of the moment in every sense. It was significant then that his much-publicised practice rounds at Royal St George’s, which his management team said would take place today and tomorrow, will not be taking place after all. Why? Because he played the Open venue on Tuesday and Wednesday, avoiding a potentially huge media scrum at the Kent venue. Rory McIlroy says he has plenty of food for thought after his disappointing performance in the BMW PGA at Wentworth. Photo: Fran Caffrey www.golffile.ieWe all know who Rory McIlroy is not. He’s not Tiger Woods, a freak of nature who turned up ready and able to win, every week, for the best part of a decade.